2 PACK (1 43XL Color, 1 44XL Black) – Est. Page Yield – 540 Pages (Black), 350 Pages (Color). 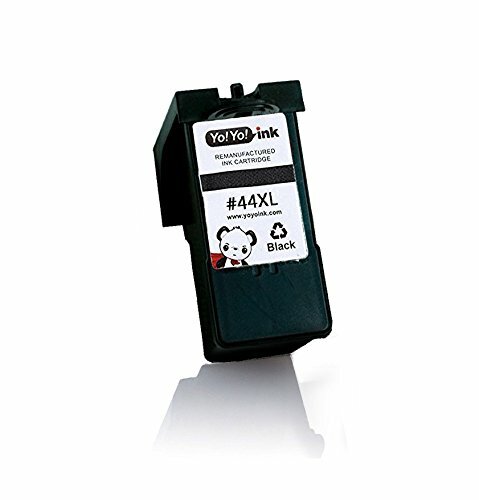 Lexmark Ink, Lexmark Toner Cartridge, Lexmark 44xl, Lexmark Toner, 44xl Ink. 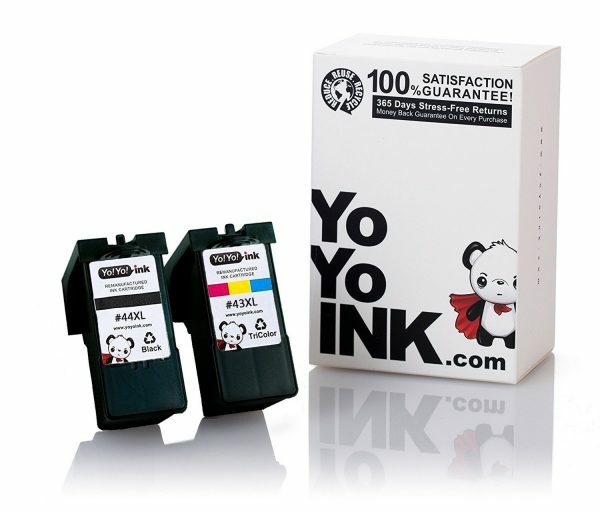 YoYoInk is a top seller for Remanufactured Lexmark 44XL Black & 43XL Color Printer Ink Cartridges. These printer ink cartridges are of the highest quality as YoYoInk strives for excellent customer satisfaction with all its products. The Remanufactured Lexmark 44XL Black & 43XL Color Printer Ink Cartridges come with a money back, customer satisfaction, two year guarantee. Lexmark Ink, Lexmark Toner Cartridge, Lexmark 44xl, Lexmark Toner, 44xl Ink. 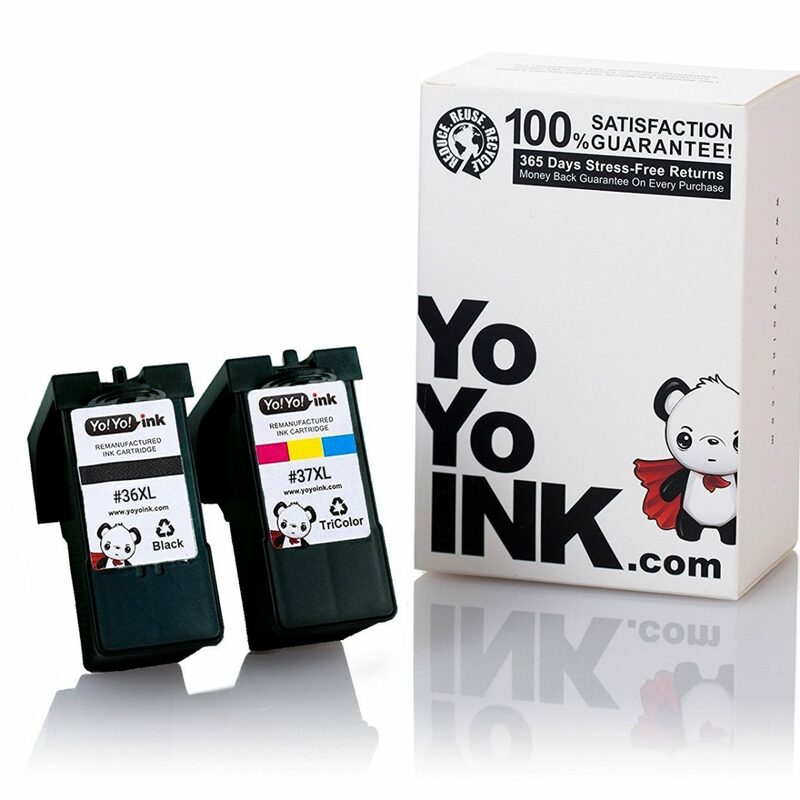 This ink is as good if not better then Lexmark’s ink. These ink cartridges include the chip that communicates to the printer and your computer that indicates your ink levels. No more annoying printer pauses telling you that you’re using any cartridges other than Lexmark’s, as happens with other generic ink cartridges. Buy with confidence, these are great. Works perfectly !!! The “chip” makes this an excellent buy. Great price and works perfectly! It did 100% better than all the other off brands that I have tried, and it even works so good that my computer tells me how I am doing on ink, where the other brands didn’t, it nice to find an ink cartridge that works just as good as the Lexmark. Thank You, Marvin H.
Mostly prints well except the blue ink tends to leach outward on solid blue lines. The black ink had some ink on the outside of the cartridge when first opened. Surprisingly the black ink does not wash off easily. Make sure you’re not wearing white while installing the black cartridge!